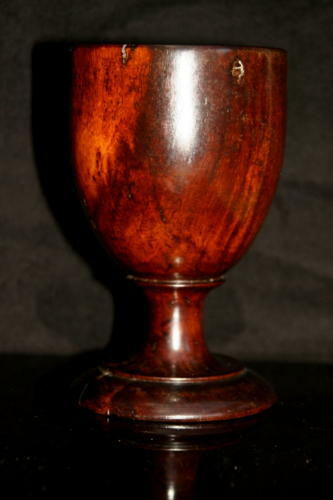 Tactile, pleasing weight, English late 18th Century laburnum wine goblet. bowl and foot now slightly oval as shrunken across the grain. Nice turning circles to underside of foot. Historic shake in timber on side of bowl. All together a nicely patinated & pleasing form Domestic goblet.